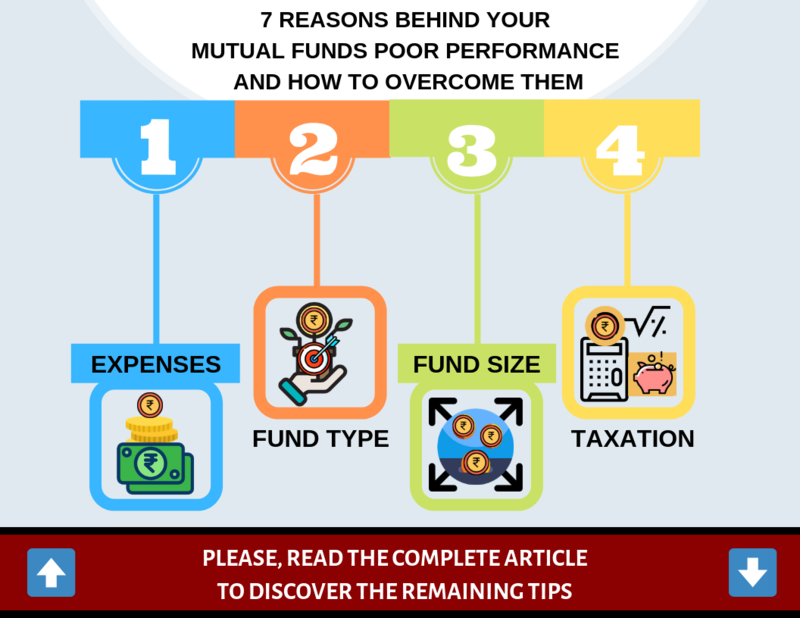 7 reasons behind your mutual funds poor performance and how to overcome them. Have you ever heard anyone say his or her mutual funds proved worthless, or he/she has lost money in the same? One might also experience times where their investment in a mutual fund was a major disappointment. 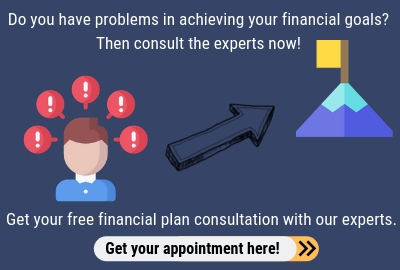 Pertaining to these scenarios, we may consider investing in Mutual Funds a poor quality option, and may even think of avoiding the same entirely. Such negative responses to mutual funds are common amidst majority of us. What is the reason behind the same? Let us try understanding the whole idea why mutual funds fail. This is one of the primary methods of selection. There is nothing wrong in judging the mutual funds on basis of the past performance. However, the question arises about how long will be the past that you are going to check. Let us quote an example here. There may be funds that performed well for the last 3-6 months but had failed earlier. It is all about the consistency that matters here. Therefore, other than checking the last 6 months performance, one should look at the fund’s 3-year or 5-year action. This will tell if the fund was able to sail well through the various market cycles and interest rates. Endurance during the downtimes and outperformance during the right times are the characteristics of the top funds. Especially for the equity funds, it is very significant to give sufficient time for the fund to perform. This might not show results in the short term, but in the long term, it has a lot of potential. Mutual funds charge their fee based on the expense ratio and it is essential for one to have an understanding about the same. Expenses could be repetitive, meaning one has to bear the same every time until the redemption of the units. not matter much for funds that give you higher returns. A high expense ratio may be a concern for conservative funds (such as debt funds), which deliver returns ranging 7-8 % per annum. However, it not at all means that funds with a lesser expense ratio will always deliver great returns, and funds charging a lesser ratio will show a poor performance. Even though, one may have chosen a fund with a great past record, however one cannot be always certain about the markets. Here, markets refer to the stock market for equity funds, and interest rate markets for debt funds. For example, market fluctuations causing recession, hike in interest rates, etc. have an effect on your mutual fund investment as well. In these tough times, even the best funds take a hit. One thing to always avoid doing is timing the markets, because the more one tries doing it, the more he is at a chance of losing. It is the job of the fund managers to time the markets. Therefore, if you possess the basic knowledge of picking the right fund, then there is not much worry about the market’s uncertain ups-and-downs. All you need to have is just patience. A fund manager could be a fund’s backbone, as well as a critical reason behind its failure. He is the person, who handles the market timing, stock picking, prediction of the interest rate movements, etc. The funds, with consistently performing fund managers, are normally the best. Fund managers that are changing very often could also prove to be a danger signal. Even though it may be difficult monitoring a fund manager’s performance, still it is worth having a look at his past performance and credibility. Selecting the right type of fund has a very important role to play. It is as important as choosing the one with the best accomplishments. One may classify funds as active and passive, or equity and debt. No matter what the categories are, you should go for the one that suits you most. We can further break the categories into their sub categories. You should make the selection of your fund type based on logical reasoning. For example, investing in a short-term fund may prove to be meaningless at times. Therefore, it is always beneficial to make investments based on certain goals, not haphazardly. More important is how you implement the link between your reasoning and your goal with selecting the most suitable fund type. You may call it the AUM or simply the size. The fund size is the total corpus that the fund can manage. It may not matter to the investors much. However if you are looking forward to redeeming your fund within few months of investment, a small-size fund may prevent you from doing that. There are cases of the funds having had liquidity crunches. In such conditions, the investors have to wait for redemption of their units. This condition does not usually arise in a fund of large size, with lots of money flowing into the same. The tax imposed forEquity Funds,held for less than a year before redemption, is 15%. Whereas, the same if held for more than a year, are tax-free at redemption. In case of debt funds, the tax amount calculation is as per the tax slab, if the investor redeems the funds before 3 years. The same if redeemed after 3 years are taxable at 20% with indexation. In addition, the dividend distribution tax applies just for the debt funds (not the equity funds). The imposition of the tax rules is a motivation factor to invest in mutual funds for a longer period, and not indulge into frequent trading. These above-mentioned reasons were just a few of the many, behind the normal failure and bad performance of the mutual funds. Therefore, considering these before and even after making a mutual fund investment may help you make better decisions. Always remember, mutual fund investments are subject to market risks. Therefore, think and read the offer documents carefully before investing, as says its disclaimer. Previous Previous post: What happens when you change the mutual funds recurrently? Next Next post: Have you stress tested your personal finances? Do it now in 3 simple steps.